From cleaning and clipping to deshedding, Cho Chweet in T Nagar has been grooming pets for the past nine years. 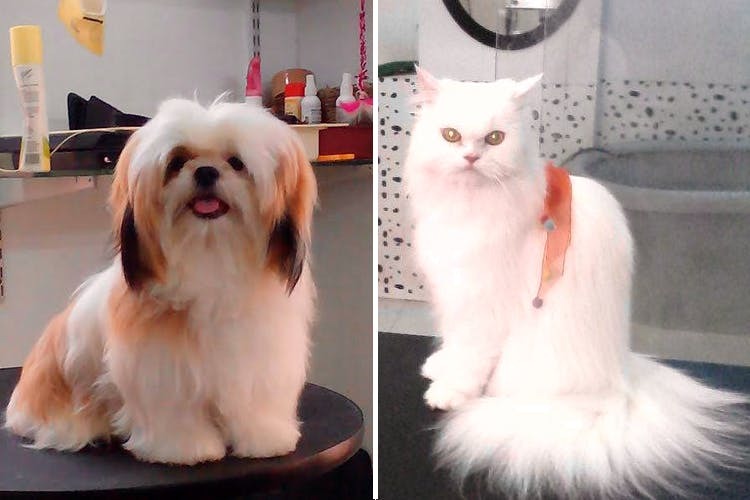 Now get your pets to looks dapper and smart with Cho Chweet who have been handling and grooming pets for more than nine years. Most pets, especially dogs, need to be cleaned, and this pet spa offers a list of services that will help your four-legged friend get a makeover. Nail clipping, washing, and ear cleaning for pets are some of their services that start at INR 700. They also offer tick and flea treatment starting INR 400 and haircuts starting INR 350. The services are divided across categories, starting from small (pets), which include pugs and beagles. The small plus category includes breeds like Shih Tzu, Silky Terrier, Pomeranian, and Pekingese. American Foxhound, Tibetan Terrier, and English Cocker Spaniels come under the medium plus category. The services start at INR 1,000 for Labradors, Rottweilers, Dalmatians, Huskies, and Golden Retrievers, which form the ‘large’ category. The salesperson at the counter tells us that people love bringing their pets to Cho Chweet because of the annas, who are super patient with the pets. All the annas are super trained and are a pro at handling the pets, who tend to get agitated in a new environment. But, the annas have their little tricks (like an impromptu belly rub) to calm them down and work their magic. After all, why should humans have all the fun, huh? Cho Chweet is tucked away in an apartment complex on North Boag Road, so look for the banner outside. Also, there is no parking available, so you may have to find another place to park your vehicle. There's a 10 percent discount going on until the end of September, so hurry!